The other two pillows are the teal/turquoise whirls pillow shams that I wrote about in my 2018 Qtr 4 FAL Goals post. Melissa at So Shabby Quilting has finished the quilting, so I hope to finish them up soon in time to send off for Christmas. The pic below shows the teal/turquoise whirls before I added strips of grey to turn them into a “quilt top” for Melissa to quilt, and then I will cut the quilt into two pieces to make them into pillow shams. 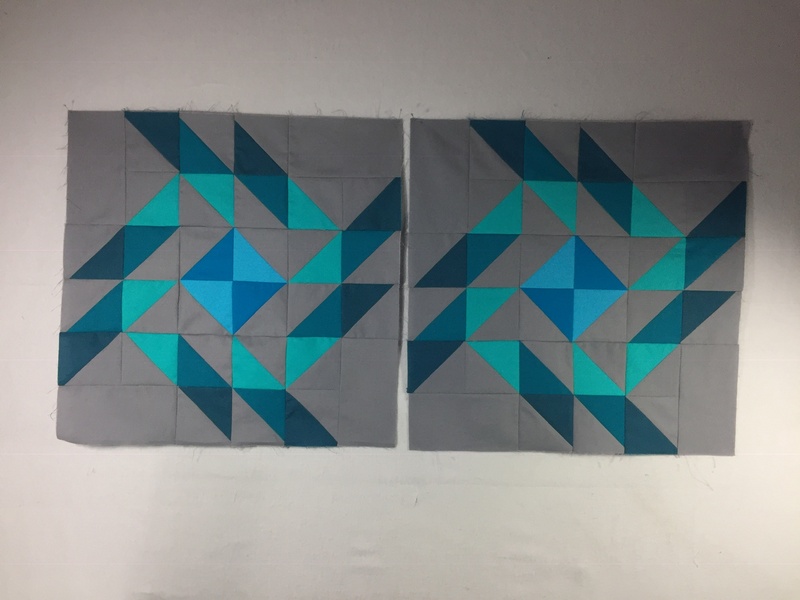 Linking up to Elm Street Quilts: Dec ‘18 OMG. “You had me at meow” – how cute! I know a few ppl who would love a project with that fabric! Enjoy your sewing time this month! Sounds like you are set up to create some great Christmas gifts this year! Beautiful fabrics, and great blocks! 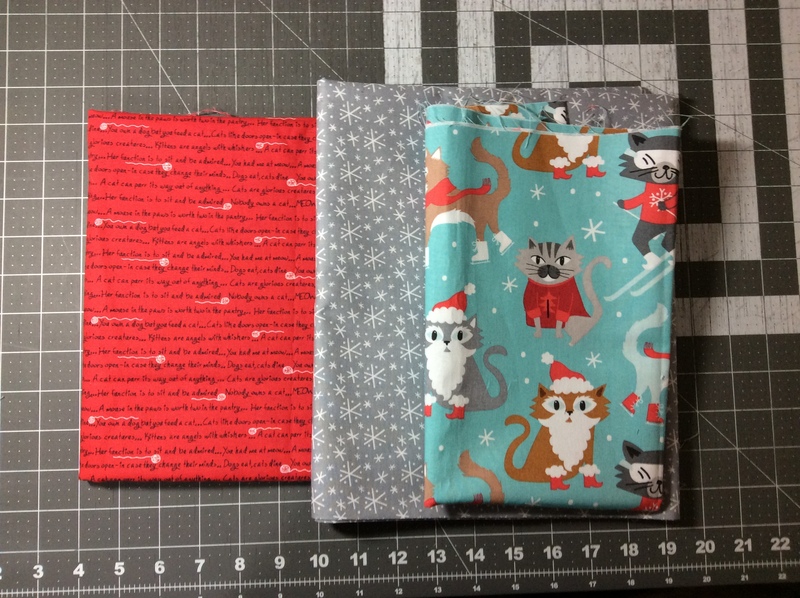 The Christmas cat fabric you selected is scrumptious! Enjoy making your pillow covers! Love the fabric! Thanks for linking up with Elm Street Quilt One Monthly Goal and good luck on your project.